Vulnerability Lab researchers have discovered a second version of a vulnerability that lets a hacker slip past a lock screen to access a user’s contact list, voicemails and many more. In reality this is a flaw but can only be exploited provided the device is with hacker’s hands. This cannot work from remote execution or infecting a device. Sophos explains the following conditions. You need physical access to the device. You need manual dexterity or a fair bit of practice. You only get access to some of the data. You have to place a phony emergency call as part of the process. A code lock bypass vulnerability via iOS as glitch is detected in the official Apple iOS v6.1 (10B143) for iPad & iPhone. The vulnerability allows an attacker with physical access to bypass via a glitch in the iOS kernel the main device code lock (auth). The vulnerability is located in the main login module of the mobile iOS device (iphone or ipad) when processing to use the screenshot function in combination with the emegerncy call and power (standby) button. 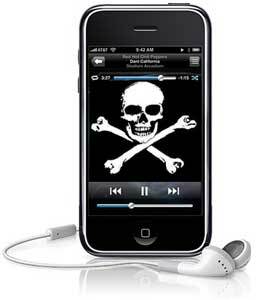 The vulnerability allows the local attacker to bypass the code lock in iTunes and via USB when a black screen bug occurs. The vulnerability can be exploited by local attackers with physical device access without privileged iOS account or required user interaction. Successful exploitation of the vulnerability results in unauthorized device access and information disclosure.